An impressive vinyl reissue of guitarist Derek Bailey, one of the most unique and influential free improvisers, in his 1974 solo recording on the Incus label, with Bailey playing on two amps and two volume pedals, a veritable duo split in the stereo field with occasional banter and observations, as he blends abstract and lyrical approaches on guitar in amazing ways. 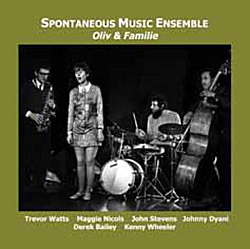 All recordings spring 1974 except "Improvisation 104(b). 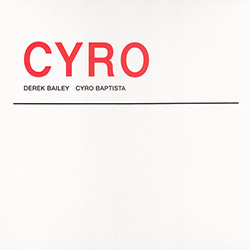 Recording by Bob Woolford and Martin Davidson recorded at Martin Davidson's house in South-East London. 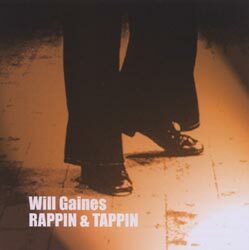 Originally released on vinyl as Incus LP 12. 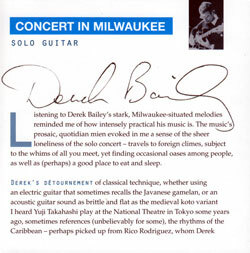 "Derek Bailey (29 January 1930 - 25 December 2005) was an English avant-garde guitarist and leading figure in the free improvisation movement. Bailey was born in Sheffield, England. A third-generation musician, he began playing the guitar at the age of ten, initially studying music with his teacher and Sheffield City organist C. H. C. Biltcliffe, an experience that he did not enjoy, and guitar with his uncle George Wing and John Duarte. As an adult he worked as a guitarist and session musician in clubs, radio, dance hall bands, and so on, playing with many performers including Morecambe and Wise, Gracie Fields, Bob Monkhouse and Kathy Kirby, and on television programs such as Opportunity Knocks. 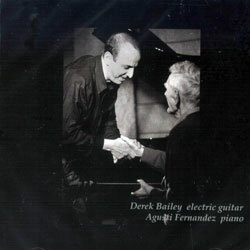 Bailey's earliest foray into 'what could be called free improvised music' was in 1953 with two other guitarists in their shared flat in Glasgow. He was also part of a Sheffield-based trio founded in 1963 with Tony Oxley and Gavin Bryars called "Joseph Holbrooke" (named after the composer, whose work they never actually played). 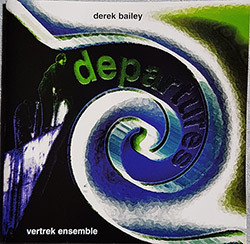 Although originally performing relatively "conventional" modal, harmonic jazz this group became increasingly free in direction. 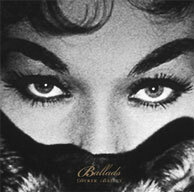 Bailey moved to London in 1966, frequenting the Little Theatre Club run by drummer John Stevens. Here he met many other like-minded musicians, such as saxophonist Evan Parker, trumpet player Kenny Wheeler and double bass player Dave Holland. 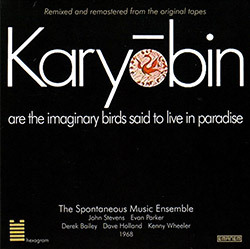 These players often collaborated under the umbrella name of the Spontaneous Music Ensemble, recording the seminal album Karyobin for Island Records in 1968. 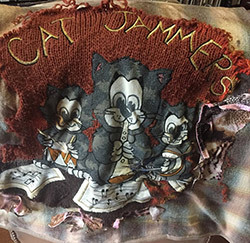 In this year Bailey also formed the Music Improvisation Company with Parker, percussionist Jamie Muir and Hugh Davies on homemade electronics, a project that continued until 1971. 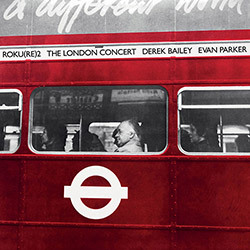 He was also a member of the Jazz Composer's Orchestra and Iskra 1903, a trio with double-bass player Barry Guy and tromboneist Paul Rutherford that was named after a newspaper published by the Russian revolutionary Vladimir Lenin. 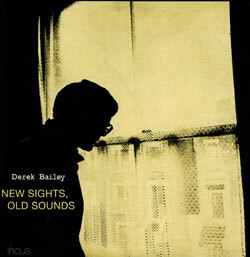 In 1970, Bailey founded the record label Incus with Tony Oxley, Evan Parker and Michael Walters. 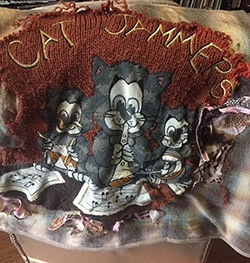 It proved influential as the first musician-owned independent label in the UK. Oxley and Walters left early on; Parker and Bailey continued as co-directors until the mid-1980s, when friction between the men led to Parker's departure. 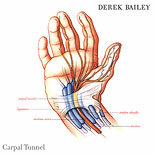 Bailey continued the label with his partner Karen Brookman until his death in 2005. 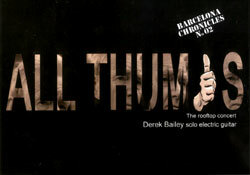 Along with a number of other musicians, Bailey was a co-founder of Musics magazine in 1975. 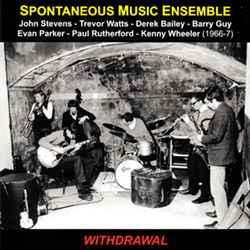 This was described as "an impromental experivisation arts magazine" and circulated through a network of like-minded record shops, arguably becoming one of the most significant jazz publications of the second half of the 1970s, and instrumental in the foundation of the London Musicians Collective. 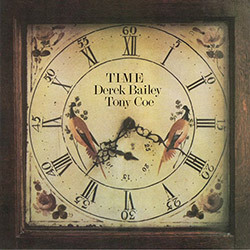 1976 saw Bailey instigate Company, an ever-changing collection of like-minded improvisors, which at various times has included Anthony Braxton, Tristan Honsinger, Misha Mengelberg, Lol Coxhill, Fred Frith, Steve Beresford, Steve Lacy, Johnny Dyani, Leo Smith, Han Bennink, Eugene Chadbourne, Henry Kaiser, John Zorn, Buckethead and many others. 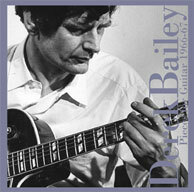 Company Week, an annual week-long free improvisational festival organised by Bailey, ran until 1994. In 1980, he wrote the book Improvisation: Its Nature and Practice. 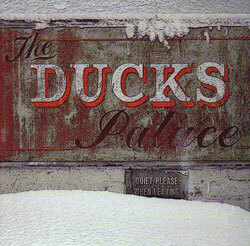 This was adapted by UK's Channel 4 into a four-part TV series in the early '90s, edited and narrated by Bailey. Bailey died in London on Christmas Day, 2005. He had been suffering from motor neurone disease." 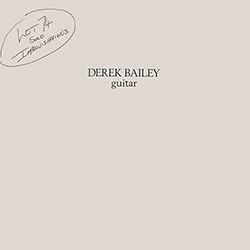 "A reissue of Derek Bailey's Lot 74, originally released by Incus in 1974. 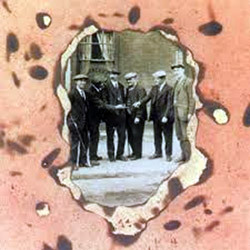 Recorded at a private house in South-East London [Martin Davidson], the side-long title track is a masterwork: a twenty-two-minute, starkly personal, freely expressive, itchily searching re-casting of orders of rhythm and sound into a new, quicksilver kind of affective and musical polyphony. 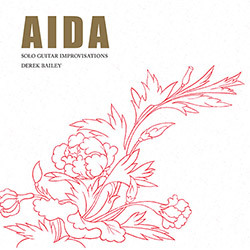 Never mind the guitarist's championing of "non-idiomatic improvisation", the poet Peter Riley gets the ball rolling in his identification of the various hauntings of Bailey's playing at this time: "mandolins & balalaikas strumming in the distance, George Forby's banjo, Leadbelly's steel 12-string, koto, lute, classical guitar... and others quite outside the field of the plucked string." 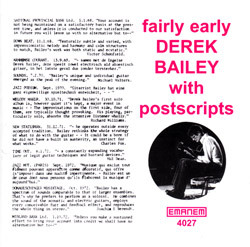 "Lot 74 was originally issued as Incus 12 in 1974, and was only the fourth solo recording Derek Bailey released, after the two volumes of Solo Guitar and the reel-to-reel tape release TAPS. 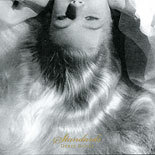 Little of the solo language of the consummate free improviser had yet been documented at the time, and to those mail ordering copies of the LP it must have been a revelation - or a conundrum. The album is no less surprising today. 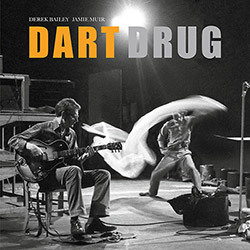 Before long, Bailey would refine his playing to rely primarily on plectrum technique with harmonics and muted strings, but in the early '70s there was a different sense of adventurousness about him. The "19 string (approx) guitar" isn't heard here, but his deft stereo playing is. 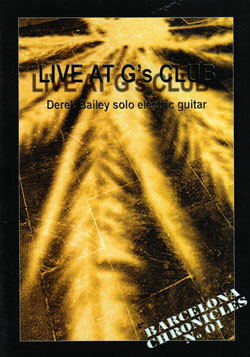 Splitting the signal from his electric guitar, Bailey played with two amps and two volume pedals, allowing him to create distinct left and right fields. That, of course, is just a tool, however, and it's Bailey's contrary ingenuity that makes the panned plucking work. The 22-minute title track that opens the disc is all of what makes his solo playing so great. It's lyrical, more in a spoken than sung way. 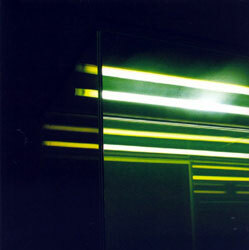 It moves forward with rationale, is sometimes light but never quite goes for a joke. Cliché though it may be to say, Bailey is a storyteller: linear and engaging. In hindsight, what would have been called "side two" back in the day is even more of a shocker. 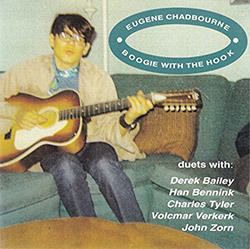 The brief "Together" opens the side, an intense blur of singing, or whooping in any event accompanied by feedback (he seems to be singing into the guitar pickup to get overtones and distortion). "Pain in the Chest?" is built of shards emanating from (seemingly again) prepared strings. "Planks" is a sort of spidery ballad, which is followed by a spoken piece called "In Joke (take 2)." 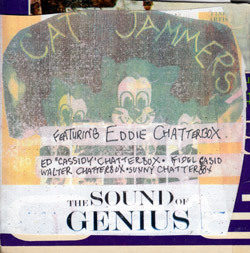 Bailey's so-called "chats" became better known (and more frequently recorded) in later years, but this is an early example of his conversational cacophony: him ruminating cheekily on the early days (less than a decade prior at the time) of free improvisation, presaging the Charlie Appleyard stories he would later record. 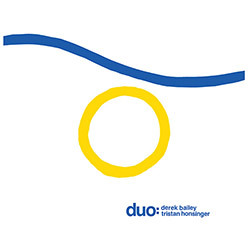 Hearing Bailey accompany himself - speaking while drowning himself out with rigid, angular guitar lines - is one of the best keys to unlocking his enigmatic music. 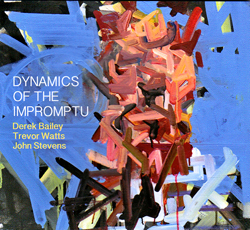 The disc closes with another rich amplified piece (curiously this one gets titled "Improvisation"). Search for other titles on the Honest Jons Records label.